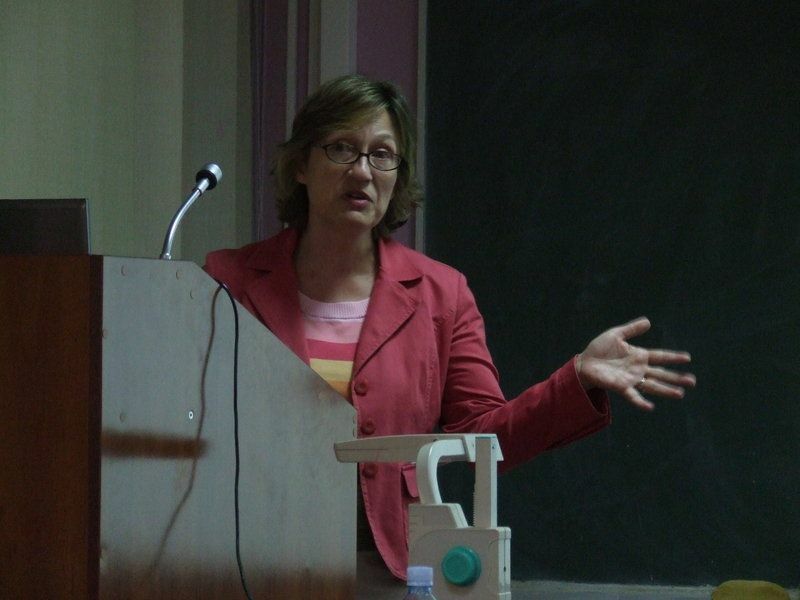 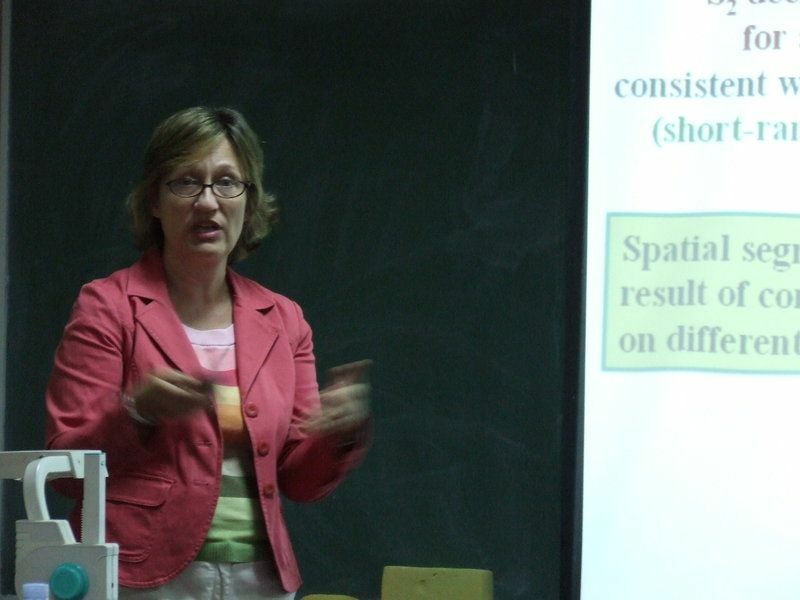 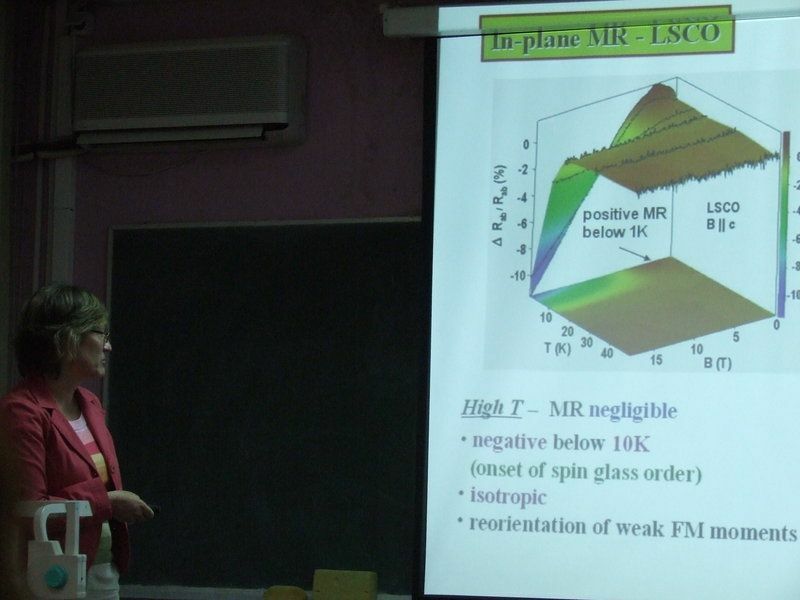 Dr Dragana Popovic from National High Magnetic Field Laboratory, Florida State University, Tallahassee, Florida, USA, gave IPB colloquium on "Glassy charge dynamics and magneto transport in lightly doped La_2CuO_4". 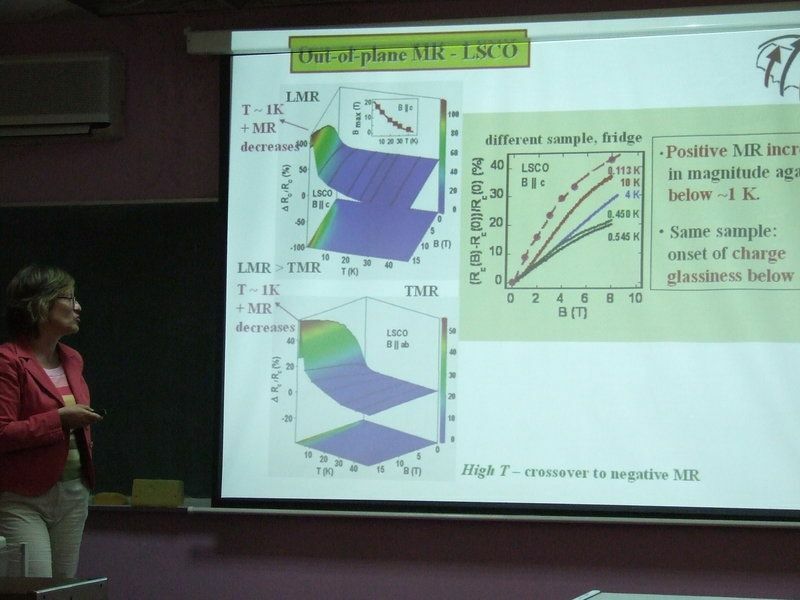 The central topic of the talk were how c-axis magneto transport and resistance noise study in La_1.97Sr_0.03CuO_4 reveals clear signatures of glassiness, such as hysteresis, memory, and slow, correlated dynamics, but only at temperatures (T) well below the spin glass transition temperature Tsg . 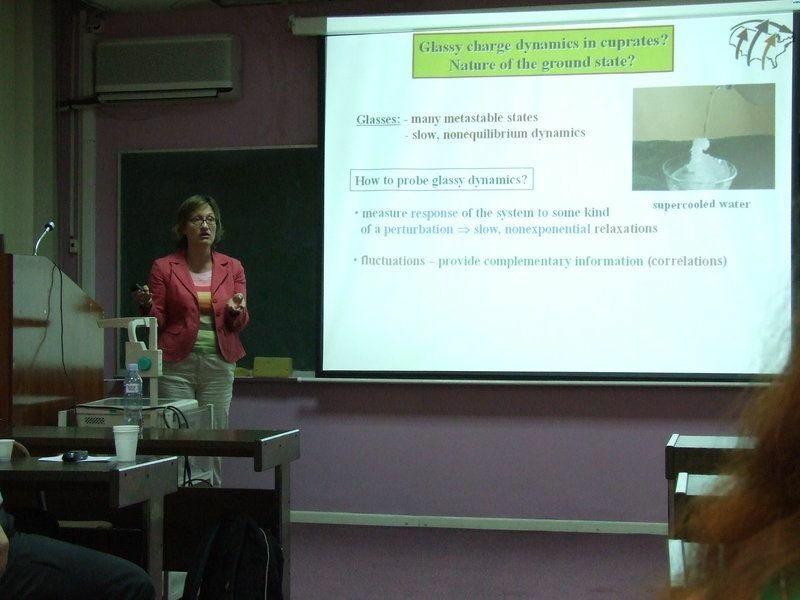 The results strongly suggest the emergence of charge glassiness, or dynamic charge ordering, as a result of Coulomb interactions. 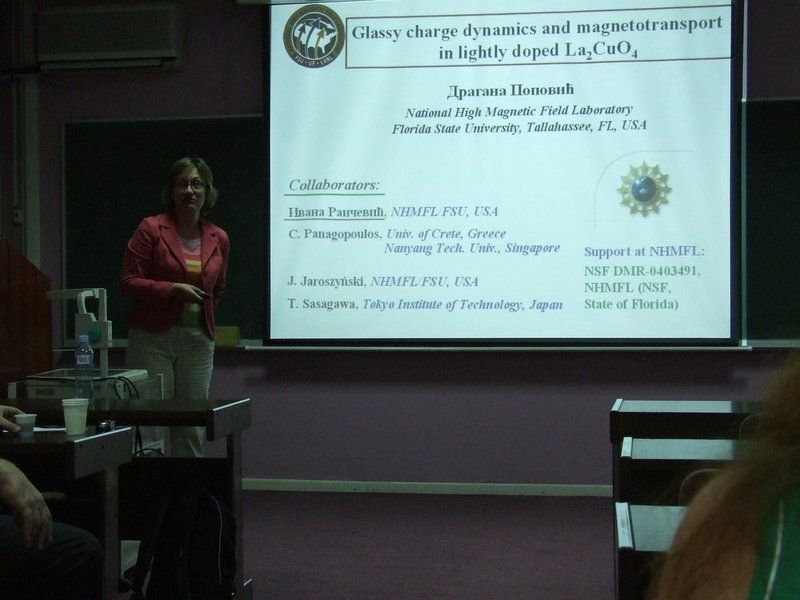 Before the talk professor Aleksandar Bogojevic, gave a brief exposition of dr Dragana Popovic work.